Martell School of Dance is NOT a 501c3 organization, donations are non-tax deductible gifts to our studio. PLATINUM LEVEL SPONSORS ARE RECOGNIZED DURING AWARD CEREMONIES, RECEIVE 5 COMPLIMENTARY RECITAL TICKETS TO SHOW OF THEIR CHOICE, NAME AND LOGO PLUS ACTIVE LINK ON OUR HOMEPAGE (martellschoolofdance.com), AND ON BANNERS HUNG IN EACH LOCATION FOR 2019-2020 DANCE SEASON! 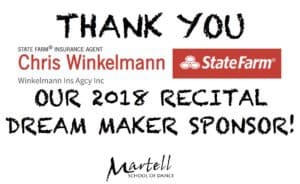 DREAM MAKER SPONSORS ARE RECOGNIZED DURING AWARD CEREMONIES, RECEIVE 10 COMPLIMENTARY RECITAL TICKETS TO SHOW OF THEIR CHOICE, NAME AND LOGO PLUS ACTIVE LINK ON OUR HOMEPAGE (martellschoolofdance.com) AND ON BANNERS HUNG IN EACH LOCATION FOR 2019-2020 DANCE SEASON, COMPLIMENTARY ADULT DANCE CLASSES FOR THEIR EMPLOYEES! Students – Acquire a Patron or Ad from a local business and receive 25% OFF YOUR desired ad size! Acquire a Corporate Sponsorship Receive 1 FULL PAGE AD, FREE! 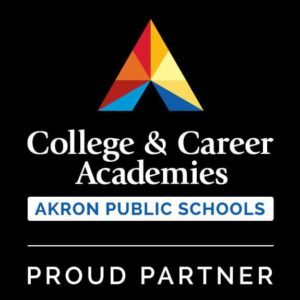 Ready to Join Akron’s #1 Dance Studio? Get started by filling out the form below or calling us at (330) 253-9900!